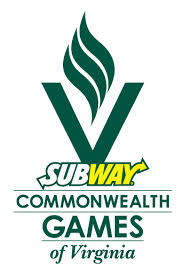 Virginia Commonwealth Games Bowling competition took place on Friday, July 19th, 2013 for Seniors and Saturday & Sunday, July 20-21st, 2013 for the other competitors. The Peninsula and Middle Peninsula did very will with 6 GOLD, 5 SILVER AND 6 BRONZE for a total of 17 metals. Congratulation to all of our metal winners, you represented our area well and we are proud of your achievement! This entry was posted in VPUSBC NEWS on July 29, 2013 by Virginia Peninsula USBC. The Virginia Peninsula USBC Bowling Association is proud to announce the All Star Teams for the 2012 / 2013.This year we find some new names making their way on the teams. Congratulations to all of our All Stars on their outstanding performance in the 2012 / 2013 season and we look forward to seeing them on the lanes in 2013 / 2014. This entry was posted in VPUSBC NEWS on July 23, 2013 by Virginia Peninsula USBC. 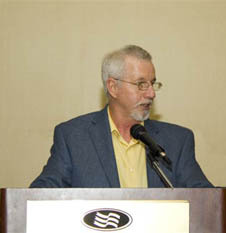 The Virginia Peninsula USBC would like to announce that as of August 1,2013 Mr. Gary Woods has been hired for the position of Association Manager. Betty Watlet has retired to be able to spend more time with her family . Mrs. Watlet, a longtime director of the HRBA and VPUSBC, was hired to fill the position of Association Manager after the death of her husband Al who was the former Association Manager. Her willingness to assume the position ensured a smooth transition in mid-season and her tireless efforts were much appreciated. The Association would like to thank her for her many years of service to the membership. Mr. Wood’s qualifications for the position of Association Manager are impressive . He has been a sanctioned bowler for 46 years and brings with him vast experience as a league secretary and has organized blocks of teams to go to the National tournament for many years. Previously he was the Secretary/Treasurer (ie. Association Mgr) of the Nord Deustschland Association in Bremerhaven, West Germany from 1983-1985 while serving in the United States Army. A 20 year Army veteran, Gary was the Company/Battalion/Brigade Supply Non Commissioned Officer in charge of all logistics while on active duty from 1972-1992. Mr. Woods worked at Denbigh Lanes from 1986 to 1990 as a shift leader and has been the Secretary/Treasurer of the Morning League at AMF York since 1987.He also is secretary/treasurer of the Big 33 League at York Lanes and manages all the in house tournaments at AMF York. He was inducted into the VPUSBC Hall of Fame in 2013 and received the VPUSBC Service Award for the 2011-12 season. The Association would also like to announce that the Board of Directors also accepted Bill Binks resignation as Association President at the Board of Directors Meeting on June 5.2013. The Board and Membership would like to acknowledge his leadership during the merger and transition from the three associations (HRBA, HWBA and Peninsula Youth) into one united membership under the Virginia Peninsula USBC Bowling Association. His leadership, during this time, allowed the three associations to seamlessly transition into one organization. Bill felt the time was right for him to ease into retirement and have the time to travel with his wife and enjoy life. At this time the Association would like to announce the election as voted on by the Board of Directors on July 9, 2013 of Anne Ray to fill the remaining year of the term of President beginning on August 1, 2013. 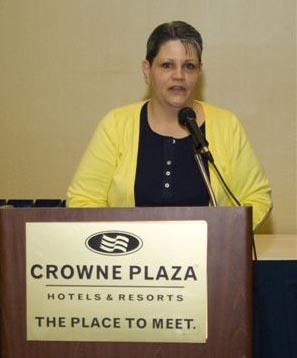 Ms. Ray has served as President of the former Peninsula Youth Association, and also of the Virginia State USBC Youth and is currently the 1st Vice President of the Virginia State USBC. She served as a director on the Hampton Women’s Bowling Association for 6 years and served as league president , vice president and secretary/treasurer for various adult leagues for more than 25 years. She is the Youth Director at Sparetimes Bowling Center, a USBC Bronze Level Instructor and Tournament Director for the Sparetimes Junior Gold Tournaments. She was inducted to the Virginia State USBC Hall of Fame in 2001 and the VPUSBC Hall of Fame in 2013. Outside of bowling Ray has been a CPA since 1983 and is Controller for Service Disabled Contracting Group, Inc. in Norfolk. This entry was posted in VPUSBC NEWS on July 20, 2013 by Virginia Peninsula USBC. The 2013 USBC Women’s Championships were held at the Reno-Sparks Convention Center in Reno, Nev. The tournament ran from April 12 through July 1, and more than 20,000 participated including many of our local ladies. Darlene also came in 43rd place in ALL EVENTS with series of 434,446,539 for a total with Handicap of 1536. Bowling in the Ruby Division Angela Pierce of Williamsburg VA came in 40th games of 168-177-201 (630 with HPCD). Angela came in 35th in ALL EVENTS with series of 526-552-442 and with handicap a total of 1779. Angela bowled with team Strike Zone out of Williamsburg VA with teammates Stephanie Kraly (Abelene,TX), Semetta Newton, Elizabeth Pierce, Peggy Randall and Nancy Ward all from Williamsburg. Ruby Division: made up of bowlers with averages from 150-179, with handicap based on 100-percent of 180. The 2014 USBC Women’s Championships will be held on 44 specially-constructed lanes at the Reno-Sparks Convention Center in Reno, Nev., and run from April 11 until June 29 (last team date). Registration opened May 1, 2013. This national tournament boasts more than 90 years of tradition and routinely attracts bowlers from across the country. It’s an unforgettable experience that many bowlers refuse to miss each year. There are some big changes on tap for 2014 Women’s Championships, including a move to four-players teams, new divisions and an all-scratch format. This entry was posted in Tournaments, VPUSBC, VPUSBC NEWS on July 4, 2013 by Virginia Peninsula USBC.